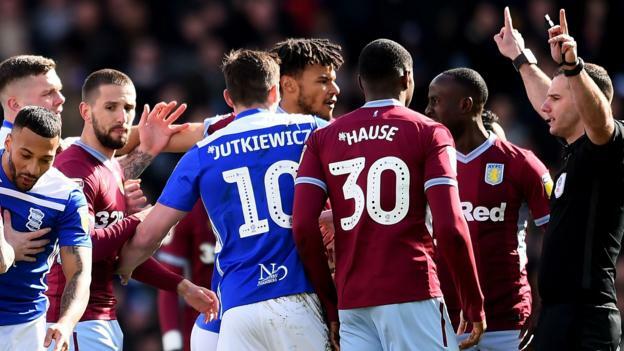 Birmingham City and Aston Villa have both been charged by the Football Association for failing to control their players during Sunday’s Championship match. A melee involving players from both teams occurred in the fifth minute after Blues midfielder Maikel Kieftenbeld fouled Jack Grealish. Villa captain Grealish was attacked by a Birmingham fan in the 10th minute before scoring the game’s only goal. The clubs have until Monday to respond.